Epicureans in the Cape have never had it better, as this year’s Eat Out Awards just proved. 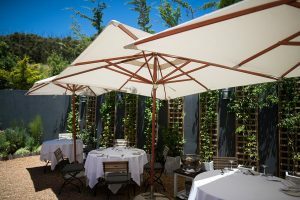 Notably, the sister restaurants La Colombe and La Petite Colombe both excelled at the Eat Out Awards, cementing their place in the South African fine dining landscape by being awarded third and fifth place respectively. It has been a particularly busy year for the La Colombe team, with the restaurant recently reopening after a major revamp, and James Gaag now in the position of Executive Chef, bringing with him a philosophy of balanced flavours and delicious, uncomplicated food. 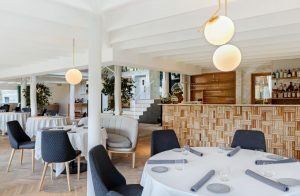 Not celebrating alone, La Petite Colombe is now an award-winning restaurant in its own right, having won the Eat Out Retail Capital New Restaurant of the Year in 2017, and debuting in the Top 10 this year, clinching fifth place. Described by the judges as “an absolutely delightful meal, cooked with such delicacy”, there was much celebration from the extended La Colombe team – comprising La Colombe, La Petite Colombe, Foxcroft and Protege – at GrandWest’s Grand Arena last night. It was then only fitting that the evening’s final course showcased the skills and talents of the greater La Colombe team, who collaborated to bring 720 guests a delicate dessert of strawberry, yoghurt, verbena and Callebaut Ruby Chocolate, which was paired with Graham Beck MCC Brut Rosé. The annual Eat Out Mercedes-Benz Restaurant Awards forms a cornerstone of the Eat Out brand, celebrating the best of the South African restaurant industry. In 2015 the Eat Out Mercedes-Benz Best Everyday Eateries was introduced to recognise a wider range of casual restaurants.